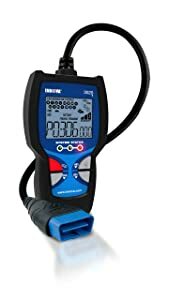 Innova 3020D Code Reader is an excellent entry-level diagnostic tool. Whenever you want to inspect a used car, this device will help you retrieve VIN. 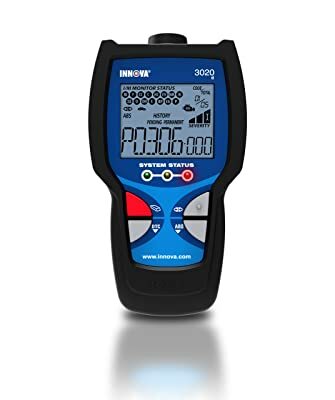 Innova 3020D Code Reader is an excellent entry-level diagnostic tool. 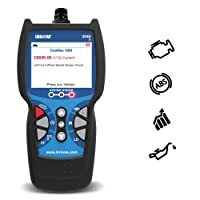 This device will help you diagnose Check Engine issues. If you are planning a road trip then this Innova 3020D should be your preferred diagnostic tool. This is because the code reader checks all the components necessary to make a safe road trip. To give you a better insight into the diagnostic functions of Innova 3020D Code Reader, read this in-depth analysis. If you have an OBD2 compliant vehicle, then you should be able to read and clear MIL. 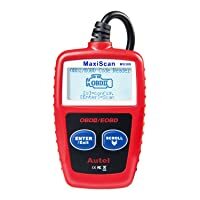 Being able to read codes will help you save on cost and reduce the number of trips you make to your mechanic every time the check engine light comes on. Innova 3020D can accurately read and clear the check engine light. The good news is that Innova 3020D Scan Tool can accurately read and clear the check engine light. 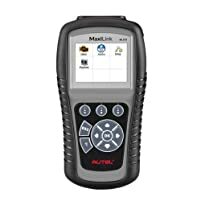 It is plug-and-play code reader that quickly connects with the onboard computer and retrieves diagnostic trouble codes. Also, you will be able to retrieve accurate and real-time data as it refreshes after every 30 seconds. To make it even better, you will be able to read and clear codes from a patented all-in-one LCD screen. The screen is able to display up to 25 pieces of information at once. It is simply an incredible code reader. It does not support freeze frame data as well as not being able to store or playback data. Innova 3020D Code Reader can effectively erase the ABS light. ABS light often comes on when there is a problem with the brake system. If you are driving and suddenly this light pops up, it is advisable to pull over immediately. This is because the detected fault can cause the wheels to lock up and cause your car to skid uncontrollably. Innova 3020D Code Reader can help you locate the possible problems with the brake system. If the problem identified is minor, you can fix it or have a mechanic fix if the identified problem is serious. After fixing the problem, you can clear the ABS lights using Innova 3020D Code Reader. It doesn’t perform advanced ABS diagnosis on most of the foreign vehicles. Checking the emission status of your car is important. Innova 3020D Code Reader allows you to check for I/M readiness before taking your vehicle for the annual smog test. This code reader has three emissions LED indicators: Green, Yellow, and Red indicators. A green LED indicator implies that your car is in good condition. If you end up with yellow light, it means that there are some minor issues that need to be fixed. On the other hand, a red LED means that there are some serious emission issues that require immediate attention. You will not be able to pass the smog test if the necessary repairs are not made. Innova 3020D Scan Tool with ABS for OBD2 Vehicles can effectively display O2 monitor test. You will be able to establish the cause of elevated oxygen level in the exhaust system. This will guide you to establish if the oxygen sensor needs to be replaced or not. At the same time, the test will point out if you need to check the engine or other systems that are causing the elevated level of oxygen. 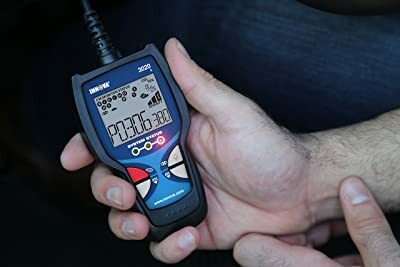 Innova 3020D Code Reader does not support O2 monitor test in heavy trucks. Innova 3020D Code Reader has a wide coverage. It is compatible with all the OBD2 vehicles manufactured after 1996. These vehicles include domestic and foreign cars, SUV, light truck, and hybrid. It is also compatible with all the five protocols including the latest CAN protocol. This code reader only supports the English language. Innova 3020D Code Reader has a portable design that is very easy to use. It has a wide coverage as it can scan domestic and foreign vehicles. It can accurately read and clear check engine lights, ABS lights. Retrieve accurate data as it refreshes automatically after 30 seconds. 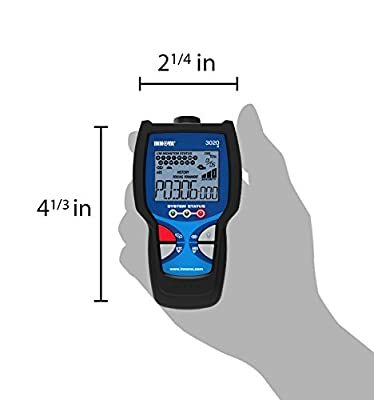 This code reader retails at an incredibly pocket-friendly price. It has a user-friendly interface,an ergonomic design and is built with ease of use. Cannot perform most of the advanced functions such as oil reset, transmission, and SRS diagnosis. It does not connect to other devices such as PC. Sometimes it displays codes that are outdated and not recognizable. Bottom Line It is built for average car owner. It is a great choice for DIYers. It is ideal for car owners or beginners It is excellent for average car owners and DIYers. 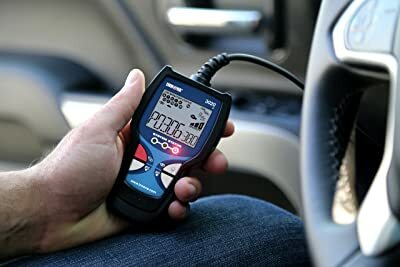 If you are an average car owner then this code reader is built for you. Innova 3020D Code Reader is easy to use. Even better, it has a patented screen capable of displaying up to 25 critical data. You can use the four buttons to navigate and clear codes instantly. Besides, you will be able to tell the emission status of your car at a glance by looking at the LED lights. 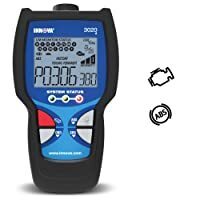 Innova 3020D Code Reader is an easy to use code reader that is built for the average car users. It can quickly and accurately display codes as it refreshes after every 30 seconds. The best part is that Innova 3020D is affordable.